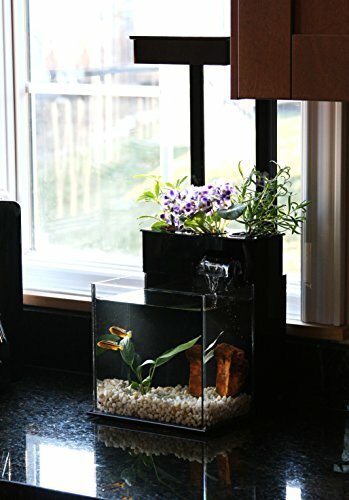 Perfect harmony between fish and plants! 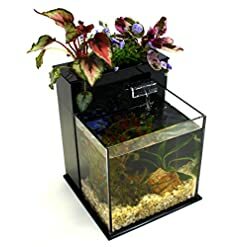 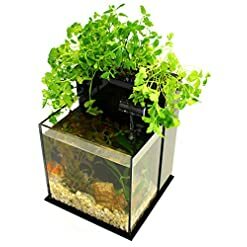 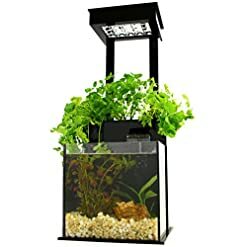 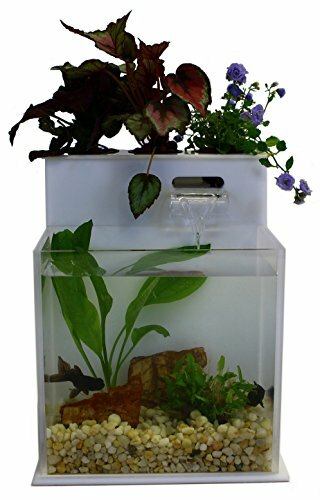 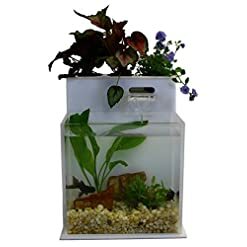 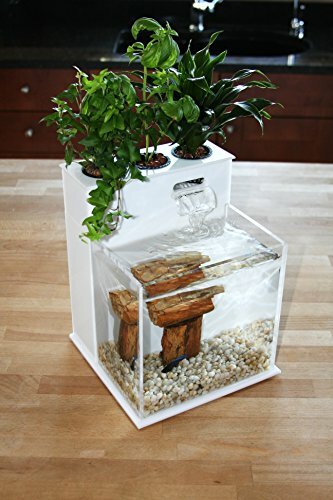 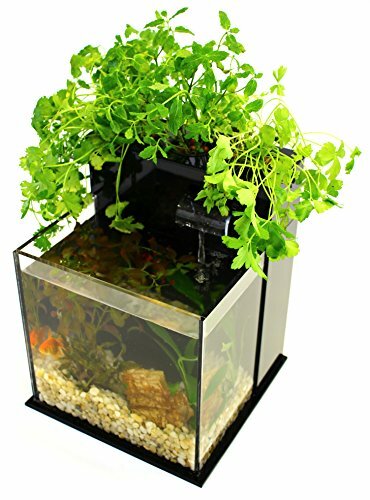 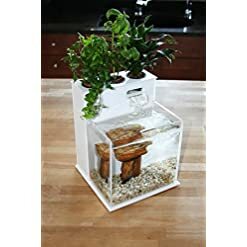 Grow leafy greens, an indoor herb garden, or beautiful flowering plants, while your fish swimming in the tank below help provide nutrients to the plant’s roots as the water continuously cycles through the system and over a soothing waterfall. 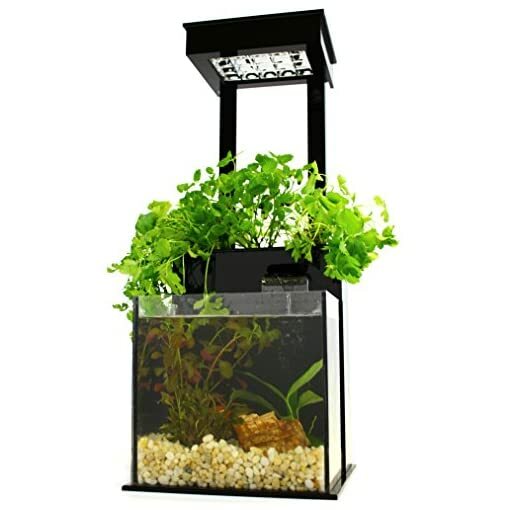 We set out to build the finest personal aquaponics systems available. 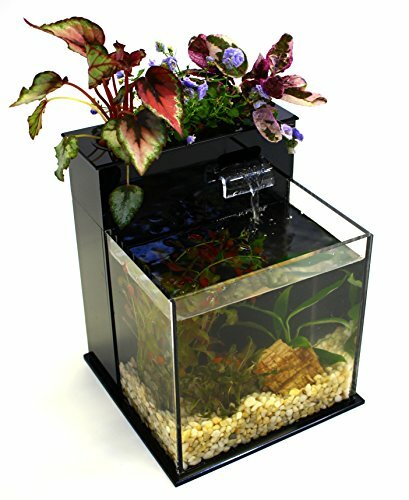 We designed, developed, tested, refined, and now hand build, our systems in our small Ohio factory. 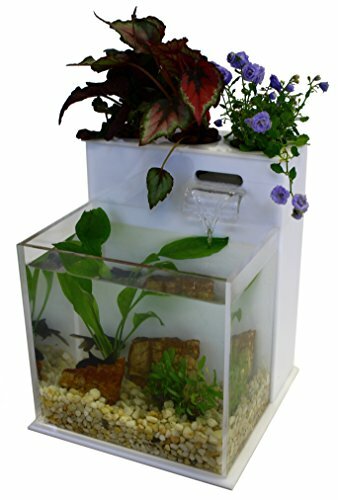 We’ve used the best components and materials we could find. 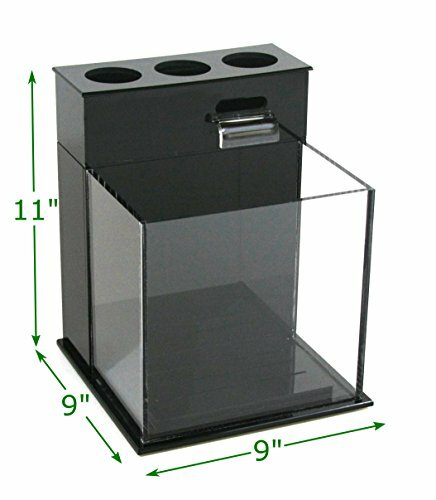 All in an effort to provide the best to our customers, to provide durable, satisfying, enjoyable operation. 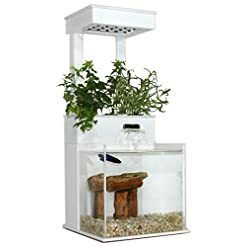 We now offer a complete line of aquaponic systems, from the counter top System A to the multi-tier System C, along with powerful LED grow lights suitable for each system. 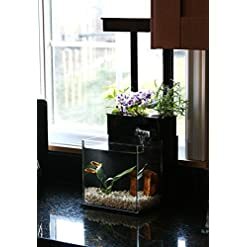 We’re proud to put our name on them, and we’re confident you will be proud to own them. 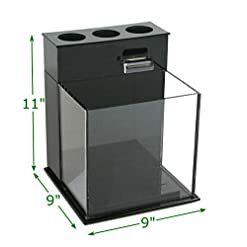 This is our smallest desktop or counter top system, ideal for any space. 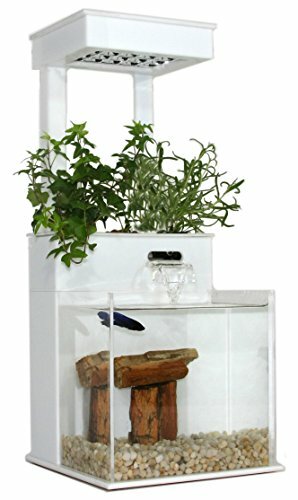 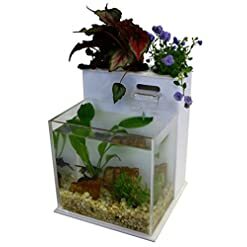 The system will be delivered to you with a acrylic system tank, plant grow pots and special grow media, tank gravel, natural water dechlorinator, and water pump with built-in filter. Please see our option LED Grow Light kits as well, available for all systems and engineered to provide ideal light for optimal plant growth.